The Voice PH is back this 2014! ABS-CBN announced on Friday, December 27 the audition schedule for 'The Voice of the Philippines' Season 2. Nationwide on-ground audition locations has been announced thru the official Facebook page of the hit singing reality show. Specific venue and requirements are available on this page as we update this post for the important updates. Back-to-back audition schedule for the Voice PH Kids and Voice PH Season 2 is set on the first quarter of 2014. Aspiring candidates for Voice PH Season 2 with age 16 years old and above are allowed on the on-ground auditions. Next wk! Luzon maghanda na sa Feb1 (Voice Kids) & Feb 2 (TVOP2). Punta na sa Pacific Mall Lucena or CSI Stadia Dagupan. Other audition requirements are not yet informed by ABS-CBN but auditionees may refer to our post for Voice PH Season 1 for the requirements and flow of auditions. As for the 'The Voice' franchise worldwide, audition process involves producer's audition and unseen auditions. Aside from the on-ground audition, local franchise of ABS-CBN for Season 1 has 'The Voice ng Radyo' and on-line auditions which are expected to be announced soon. On the three types of screening, different judges conduct auditions using the power of social media. They travelled in and out of the country to search for the best singer having 'pure voice' and fits on the next phase, the blind auditions. 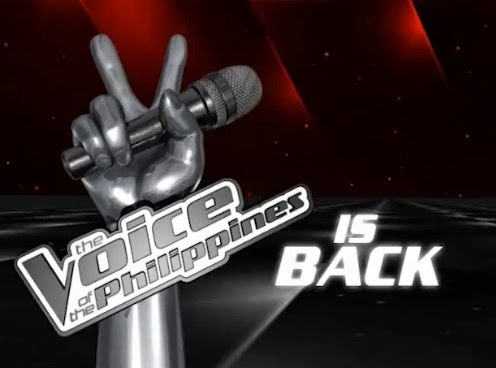 ABS-CBN aired the first Philippine version of the show, The Voice of the Philippines last June 15, 2013 and had been concluded September 29, 2013. It is confirmed that Popstar Princess Sarah Geronimo will still be part of the Season 2 together with coach Lea Salonga, Apl de Ap and Bamboo Mañalac. "Yes, opo. Nag-yes na po kami for the second season. Noong una, ayaw ko kasi traumang-trauma na ako. Pero sabi ko, si Ms. Lea (Salonga), nag-yes na rin. ", Sarah said. TheSummitExpress will update this page for The Voice Philippines Season 2 audition schedule, venue and requirements. Like Us on Facebook or Follow Us on Twitter to receive more updates. You may Subscribe also to our E-Mail list.